A few weeks ago, on Canada Day, we gathered on a neighbourhood rooftop with family and friends for the yearly tradition of watching the fireworks. As the evening came to an end, my father-in-law looked for his keys. Sofa cushions, the floor, kids’ shoes, nooks, crannies, he searched in vain. Placing my fingers to my temples, I closed my eyes for a moment. Then, I picked up a black jacket that was hanging by the door, and shook it. It was not his jacket, but we heard the telltale jingle coming from one of the pockets. His eyes widened in surprise as I reached into the pocket, and pulled out his keys. While a magician never reveals her secrets, a UX expert always does. It’s about habits, patterns, and human nature. The day had been hot, but the night cool. And what does a person in shorts and a t-shirt do when they go to a friend’s rooftop to watch fireworks on a cool evening? They borrow a jacket. Keys + jacket = keys in pocket. And as I pulled the keys out in triumph, I had an epiphany: being able to find things has something to do with UX. 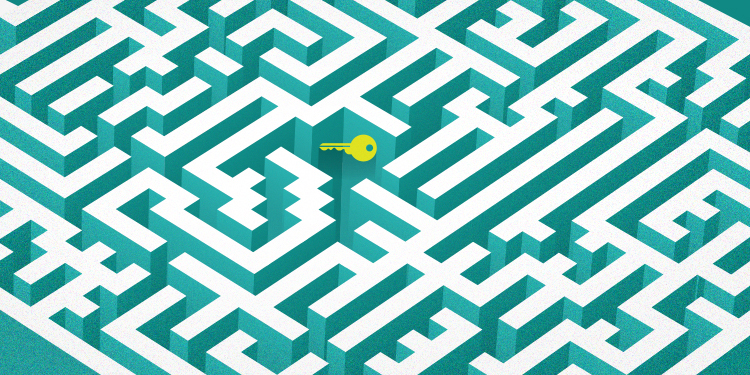 What does being able to find things have to do with UX? In an ideal world, a UX designer would be able to sit with every user, and design every experience to suit any situation. Clearly, this “ideal” design process can’t (and probably shouldn’t) be done. It’s not possible to find every user, and if it were, what would a design that did everything for everyone actually look like? The better the UX designer’s understanding of behaviour, the better her assumptions will be. A UX designer needs to recognize behaviour patterns and use those patterns to predict what will happen. That’s what happened in the case of the missing keys: I recognized a pattern of behaviour (hot day + cool night = borrowed jacket), and predicted the result (a jacket pocket + lost keys = keys in pocket). Understanding how users behave is the key to building tools that they can use comfortably and easily. Users are people, and people develop patterns long before they come to your website, read your marketing, or pick up the widget your company makes. Take some time every day to turn away from your screen to watch and listen to people. Understanding their behaviour, and providing an experience that conforms to it, is the key to making that experience great. For more wonderful examples of how and why users respond to design, grab a copy of 100 Things Every Designer Needs to Know About People by Susan Weinschenk. Jared Spool at uie.com has written some great stuff about the power of exposure hours. Exposure hours are a simple idea: expose designers, developers, planners, team leaders, to actual users using actual digital products. This exposure helps to strengthen knowledge of user behaviour, and it creates empathy for the user. This knowledge and empathy, in turn, means a dramatic improvement in the ability to design the user experience.